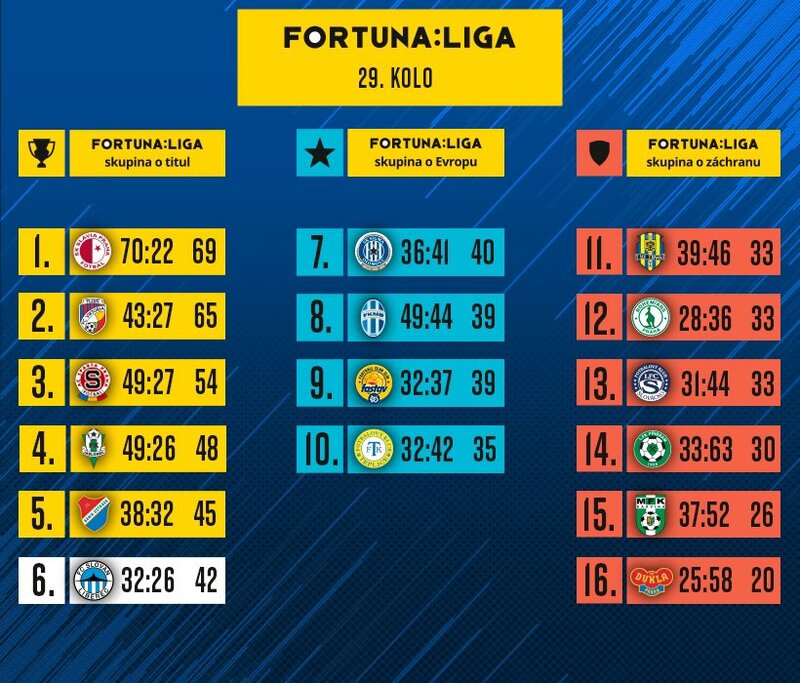 In Tuesday´s 16th round of the FORTUNA:LIGA, Slovan hosted a strong opponent in the form of FC Viktoria Plzeň. In the last meeting between the teams in Plzeň, “Viktorka” escaped with a narrow 1-0 win. Today’s match looked like it was headed for another one-goal win for the home side, but a marvellous goal in the 84th minute resulted in a 1-1 draw. FC Slovan Liberec: Nguyen – Koscelník, Kačaraba, Karafiát, Hybš – Breite (C), Oscar – Potočný (87. Oršula), Ševčík, Pešek – Aarons (89. Pázler). FC Viktoria Plzeň: A. Hruška – Řezník, Hejda, R. Hubník (C), Limberský – Hořava, Hrošovský – Ekpai (82. Petržela), Al. Čermák (65. Pernica), J. Kopic (60. Kovařík) – Chorý. The first attack by Slovan seemed promising. On the right side, Potočný let up and the midfielder tried to reach Ševčík. He decided to shoot the ball himself, but none of the Liberec players were able to get the rebound. A beautiful boot by the defender Breite found fast-paced Pešek in the eighth minute of the match, but Hruška reacted quickly to thwart the attempt. 19 minutes into the game, Captain Breite almost took the lead as Hruška just aired a header, sending the ball toward the goal. Plzeň, for the first time, more severely threatened in the 23rd minute after the centring pass of Ekpaie found Chorý, but he didn’t score. The greatest opportunity of the first half was made by Aarons. After a pass from Potočný, the English striker ran to the net, but at the last moment, he shook the ball with a slip of Hejda. The first shot on the goal sent by Breite after a beautiful trickster and subsequent pass from Oscar, Hruška was ready. A dangerous opportunity for an Oscar-winning foul, with which he did not agree with the whole stadium, was Kopic in the form of a direct kick. The wall blocked his attempt. Pilsen added a bit at the end of the half-time and created some hints of chances. After one of the corner kicks, Hubner set up the ball for a header by Chorys, which was directed again at the goal. Before the end of the first half, Aarons was well ahead of the defence and Ševčík was looking for the centre, but his shot missed by millimetres. Thereafter the Eagle had already begun the end of the first half in which we witnessed the fighting of football. Home Slovan did not do well and managed to create a few dangerous situations, but still played without a goal. Slovan went very actively into the second act, but neither of the two centres found the target. More interesting was the Peska missile, which gave Hruška big problems. The Plzeň keeper finally managed to tame the ball with a great save. At the edge of the limb, he got to Oscar and the ball was bouncing, and Hruška had problems with the shot. Slovan were clearly the better team in the second half. One of the key players was Aarons, with some fancy footwork. The ball came to our attacker, and he one-timed it toward the goal line. Another controversial moment came in the 63rd minute. Pešek ran in alone on Hruška himself and threw the ball into the run, then was fired by Hejda. After reviewing the video, the Plzeň player was rightfully booked. Finally in the 70th minute, Ševčík scored in the 70th minute on a run by Jakub Pešek. He worked well with the ground below and opened the scoring. Oscar was also a great performer today, and he excellently drew the ball and created a good shooting opportunity for Potočný. His shot to Hruška just went to the corner. The pressure of the Slovan continued through the centre of Ševčík, Potočný faced a header, and Hruška again had a lot of problems. Suddenly, Plzeň struck, as substitute Petržel set up Jan Kovařík, who made no mistake and levelled the scores at 1-1. Slovan did not give up and tried to retake the lead. However, there were a lot of disruptions during added time, and Liberec were unable to sustain any pressure. No more goals were scored and the match finished 1-1.